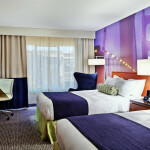 C+TC Design Group provided design services for the multi-million dollar renovation of the Radisson Fisherman's Wharf. The renovation revitalizes the hotel's lobby, meeting rooms, public areas and guestrooms. 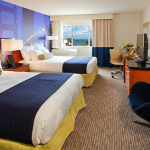 The refreshed look injects San Francisco charm into the heart of Fisherman’s Wharf. 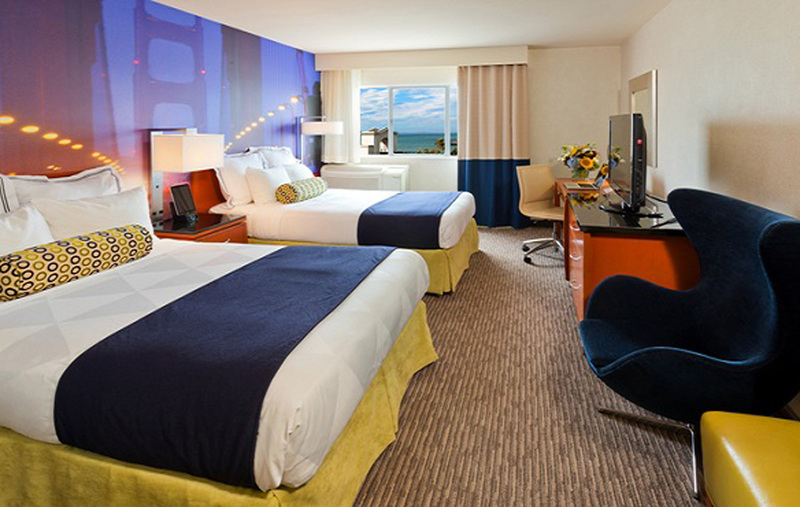 All 355 guestrooms include a custom wall vinyl depicting an evening scene of the Golden Gate Bridge, allowing guests to sleep soundly beneath the San Francisco landmark. 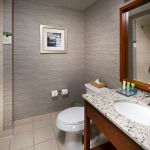 Renovated rooms also feature upgraded lighting and brand new décor, including new contemporary seating, window treatments (including sound-dampening windows in select rooms) and new outdoor furniture on balconies. In addition to the guestrooms and new modern lobby, all of the meeting rooms have new carpet, tables, chairs, wall vinyl, and window treatments. A luxury two bedroom hotel room. 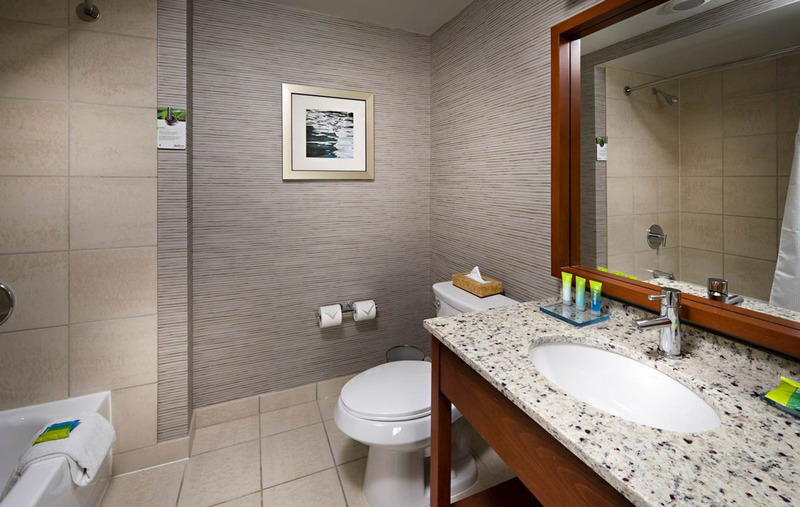 A two-bedroom hotel room with exotic modern design.